A stroll through a Middle-Earth airport, can be dangerous. 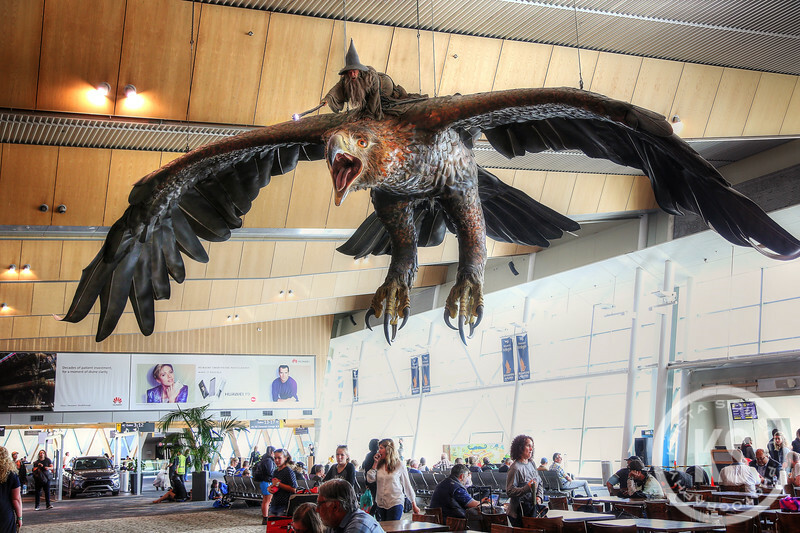 The Wellington, New Zealand, airport helps embark and disembark travelers with a little Hobbit lore, and a one-ton eagle. Quite magical, actually.